As a wild child, Stefanie Sutherland-Thomas never backed down from a dare. But the responsible, low-key role she has grown into as a widowed single mother and Army nurse has her feeling stuck in a rut. 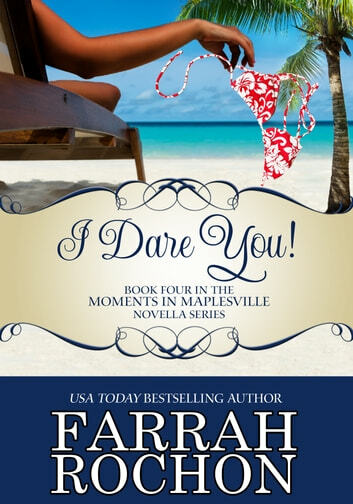 When her best friend challenges her to do something daring while on vacation, Stef picks up the gauntlet. Her mission: to have a one-night stand with a random island hottie. But Stef gets the shock of her life when she discovers her casual hook-up isn’t some random stranger; he’s her brother’s boss! Dustin “Hawk” Patrick knows a thing or two about taking risks. The ex-Navy pilot gambled by striking out on his own and now owns one of the fastest growing helicopter shuttle services in the Gulf South. But now everyone wants a piece of his business. Desperate for a reprieve from the pressures of work, Dustin uses his best friend’s wedding in Turks and Caicos as an opportunity to engage in a stress-free fling. 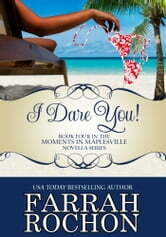 Until he discovers his hot island angel is his best friend’s sister—in other words, off limits. But after just one taste of Stefanie’s passionate kiss, Dustin knows he can never let her go. When it comes to love, will Dustin and Stefanie dare to let their desires take control? This is a novella of approximately 35,000 words. Livres similaires à I Dare You!